WASHINGTON, DC -- The inspectors of the United States and Ukraine will conduct observation flight over Russia and Belarus under the Treaty on Open Skies this week, Sergei Ryzhkov, head of Russia’s National Nuclear Risk Reduction Center, announced Sunday. 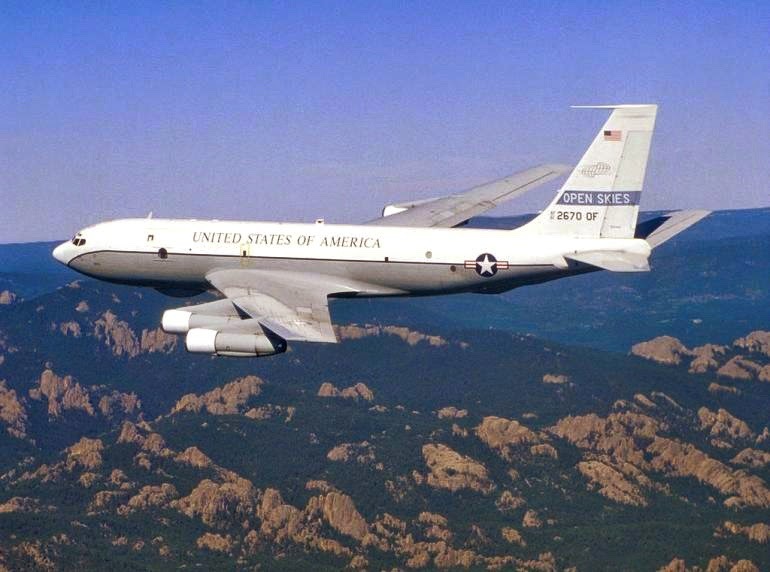 The flight will take place between March 30 and April 4, using a Boeing OC-135B American observation aircraft. The flight, which will take place between March 30 and April 4, will be conducted using the Boeing OC-135B American observation aircraft, RIA Novosti reported, adding that the plane will not be equipped with any weapons, but will have internationally approved observation technology. “Within the framework of the international Treaty on Open Skies a US mission with the participation of Ukrainian representatives plans to conduct an observation flight over the territory of a group of participating states, the Republic of Belarus and the Russian Federation,” Ryzhkov told RIA Novosti. According to the U.S. Department of State, the Treaty on Open Skies allows 34 participating countries to carry out observation flights over each other's territories to gather information through aerial imaging on military forces and activities that are of concern to them. The Treaty on Open Skies, which was signed in March 1992 in Helsinki, came into force on Jan. 1, 2002. Russia ratified the treaty on May 26, 2001. The latest development has come after the U.S. House passed a resolution last week prompting the government to offer military assistance to Ukraine as the conflict with pro-Russian rebels continues in the eastern region of the country. However, U.S. President Barack Obama was opposed to providing lethal aid to Ukraine as he believed such weapons would only lead to greater aggression from Russia, which has been accused by the West of supporting rebels in Ukraine's conflict-torn areas.